Over in the shop we are running a preorder for the CNC conversion kit. 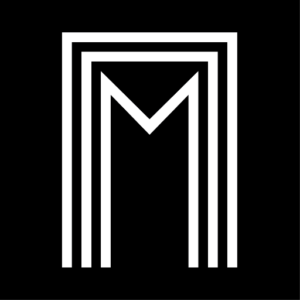 Here we would like to give you a bit of background on how it all came about and our design intent. 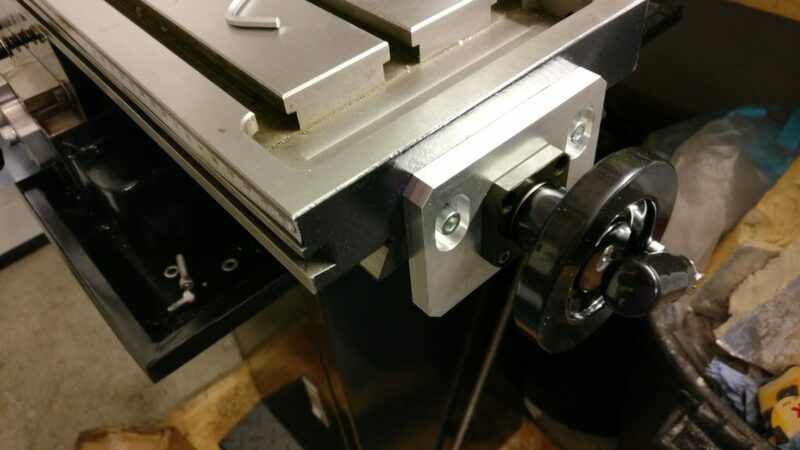 From day 1 of ordering the EMV-25VBB milling machines, the CNC conversion kit was always going to be an option we would offer. As the development reaches commercialisation and release, let us give you a bit of background on how we designed and thought the project through. The first conversion our team did involved a Chester Machine tools Super lux. At the time, we were short of cash and also wanted to get the machine running asap. This was not a good combination as corners were cut, money was skimped with the end result...well much to be desired. Thanks to that machine one of us learnt to hand scrape for flatness and alignment as well and owns more metrology tools than we would need, a Biax powerscraper and a granite table. Invariably the castings used on the machines we are aiming this kit to are not aged or stress relieved. In some cases they are not even ground well enough. On our Chester we found that even drilling lubrication points was a bad idea as the saddles would move killing the accuracy we hand scraped into them. 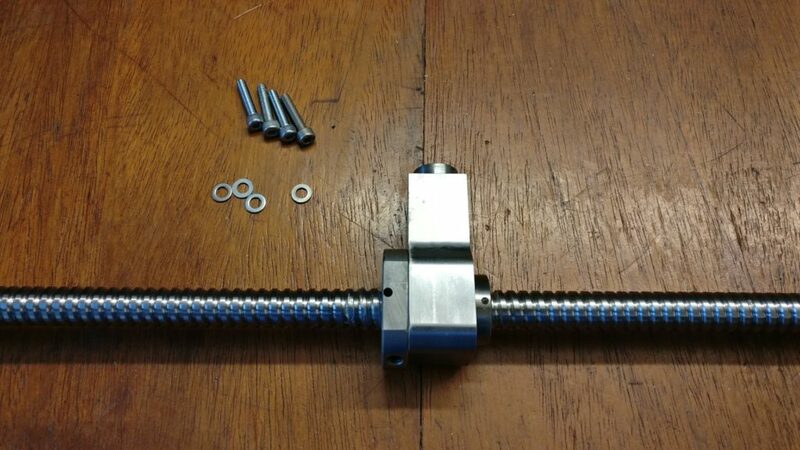 So great effort has been expended to get a custom made ballnut and ballscrew mount to allow fitment of the X-axis screw. In fact we even use the same screws from the factory in most case. No more hunting around for a mate with a Bridgeport! Yes you read that right, no too ways about it. Yeah you can use the CNC controllers backlash compensation function but why not just eliminate it from the getgo? We came to this conclusion about 3 months after we put the first machine together. Kept chasing repeatability, squared off circles and steps in all directions. 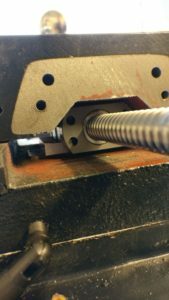 So ditch the silly ideas of springs between the nuts, shims etc and go with quality precision manufactured ballscrews and bearings throughout. 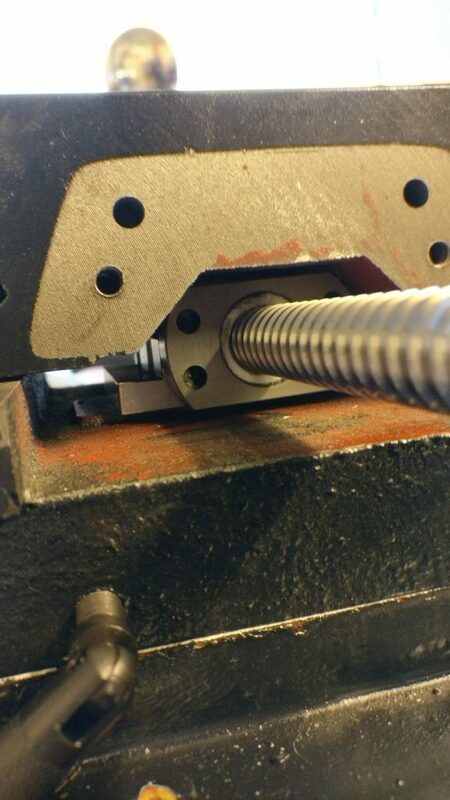 Hence our kit is based on C5 accuracy ground and preloaded ballscrews. They are so good they can be backdriven! Why code a a hole drilling program if you only want to do a quick job? Not going to eliminate the quill too right? So yeah, jogging with a keyboard is impractical and for the one quick hole you want to make using that drill you cannot really be bothered to touch off…Lets keep the handles on. Oh but wait, what happens when the handles are spinning with the motors? Best make them the safety kind. 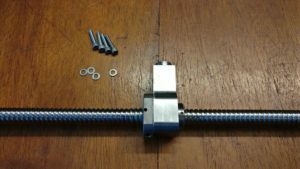 In order to eliminate backlash and lost motion, we have made the ballnut mounts out of steel. 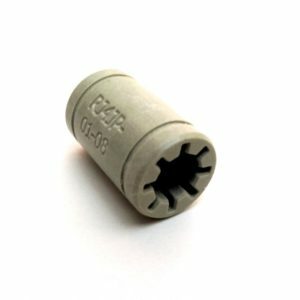 As you may already know the coupling between the casting and the nut occurs through a boss and it is held in place with a single screw. Using steel we know that the parts will last a long time with no loss of rigidity. What machines will this fit on? The kit came about with some help from Aaron Powter of Youtube fame. He designed his kits to fit the Titan machine tools, available in Australia. His kit fits the AMAT25LV, the Optimum BF20, HBM BF25 and other machines too. 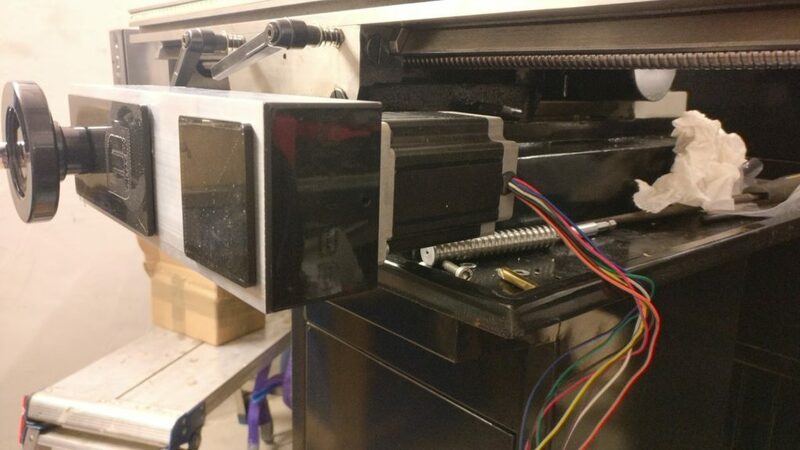 The biggest difference between the EMV-25VBB and the other mills is the end of the table. 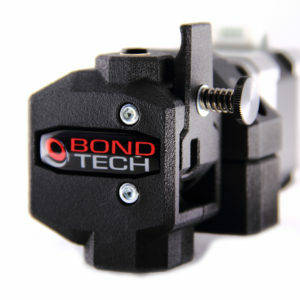 Ours takes a small flange that does not cover the ends of the T-Slot area, while the others have a larger plate. To keep all of your covered we have designed both variants. How do we get this kit? Getting the numbers up is critical in being able to make this viable. Unlike the other kits available, we have put great effort to ensure it is as plug and play as possible, this has built in the complexity of needing special ballnuts and holders. So, we are asking that our customers head on over to the shop area and preorder their kits. This commitment keeps you keen and us on track. Think of it like crowdfunding. Head on over now to see the rest of the photos! You know the counter in the machine tools page. Well it is counting down to the 19th of August 2016, the day we unveil our grandest product to date. the unveiling will be done in the Thornbury model engineering exhibition so why not check us out at stand 134. Pretty sleek. Serious engineering going on and a CE mark to boot. Profile linear rail, not round bar, on the axes!!!!!!!!! 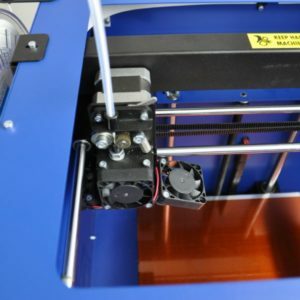 Lets explore this topic and how Emvioeng.com will help small and large workshops alike become more efficient. 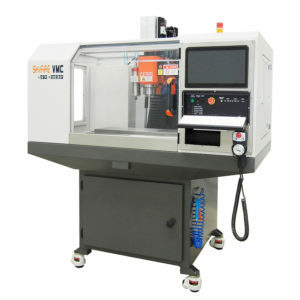 We use Mach 3 by Newfangled Solution LLC as the control software on our CNC machine tools. The flexibility and customisability of this package combined with the fact that it runs on Windows (XP, Vista, 7 and 8) makes for a very good solution despite the limitations imposed by being tied to a PC. As time has progressed, the parallel port originally used for the control of the cnc machines through Mach3, has just about faded away. 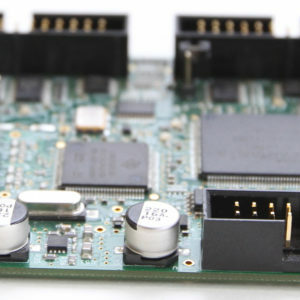 Software and hardware limitations have crept up on it and although the golden standard for many, including the Linux community, it now is not as common as it once was. 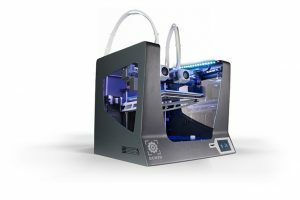 Thankfully vendors of solutions to the issue have emerged to ensure we are still able to use our beloved machines with newer operating systems and hardware.